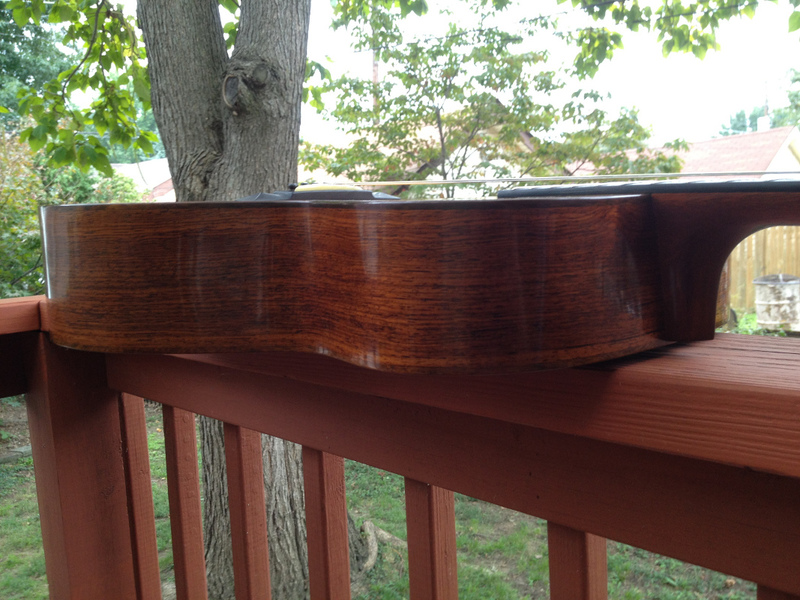 The guitar has Italian Alpine spruce top, Honduras Rosewood (in this case, believed to be dalbergia tucurensis) back and sides, snakewood bindings, ebony fretboard and pyramid bridge. Bridge pins are ebony. 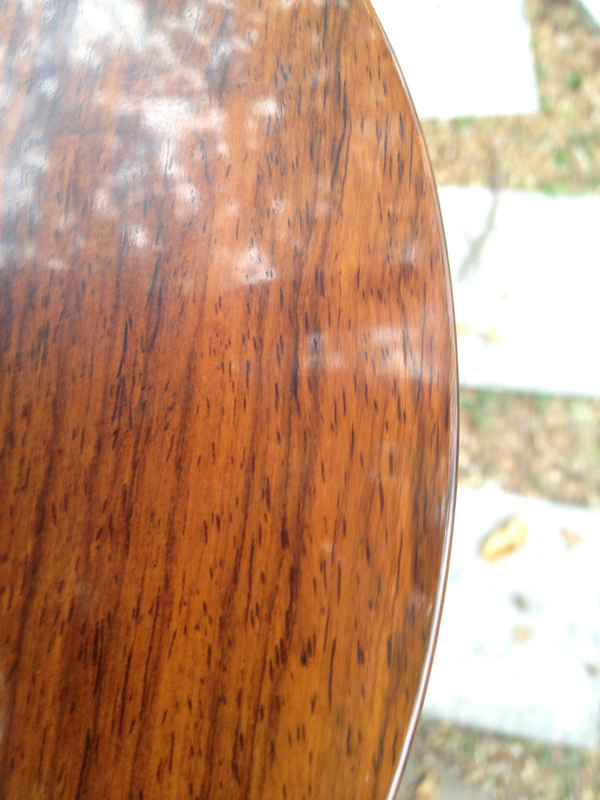 Finish is oil varnish. 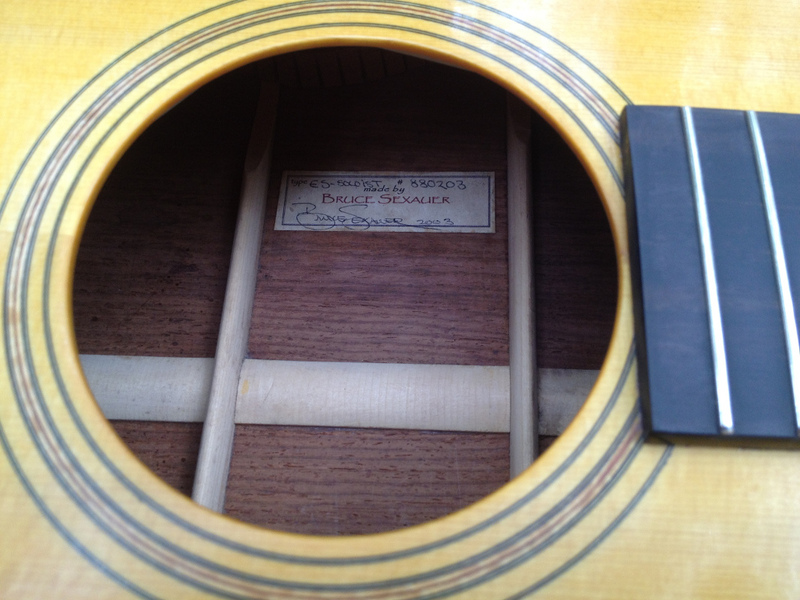 String spacing is 1 3/4” at the nut, 2 3/8” at the bridge. 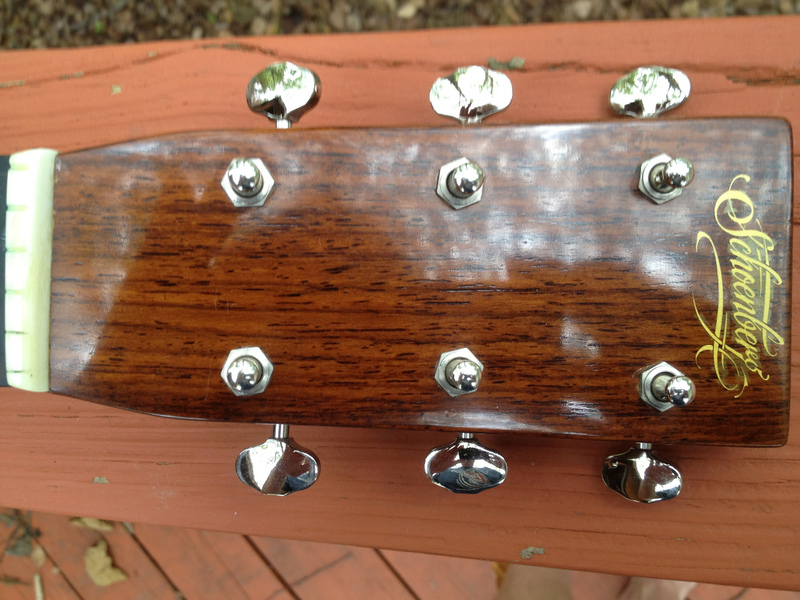 The neck profile is a fairly shallow C, not as beefy as a Martin Mod-V; it seems very sleek and comfortable to me. The tone of this guitar is bright, and offers striking clarity and very immediate response. 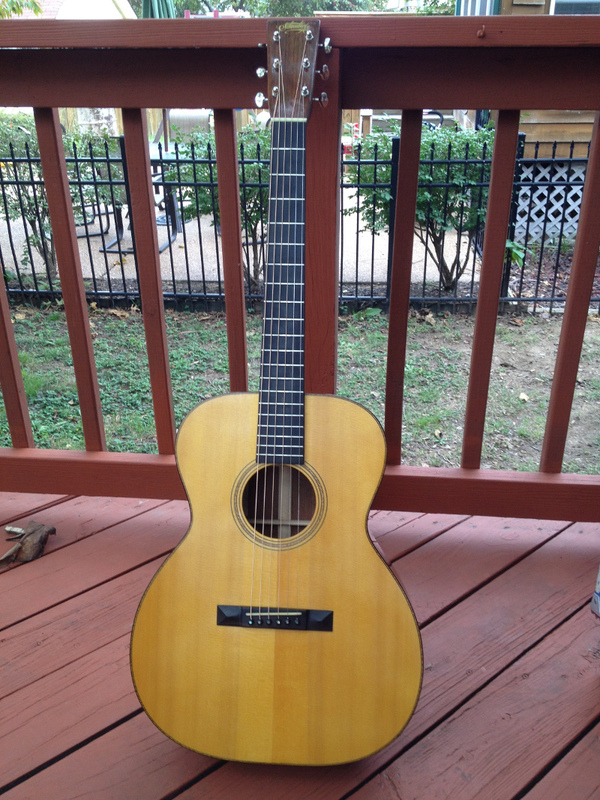 It is much louder and punchier than my modern Martins; I have never played a vintage Martin OM, so I can't really comment on how well this Soloist compares to the originals by which it is inspired. The sound is not awash in overtones, but rather emphasizes crystal clear fundamentals, with enough woodiness to give it a distinct vintage feel. Because of its extreme responsiveness, it is not kind to mistakes (you hear everything) or sloppy playing. It also does not respond to lots of muscle; while it has plenty of headroom for my playing, it seems to let you get there with very little effort. 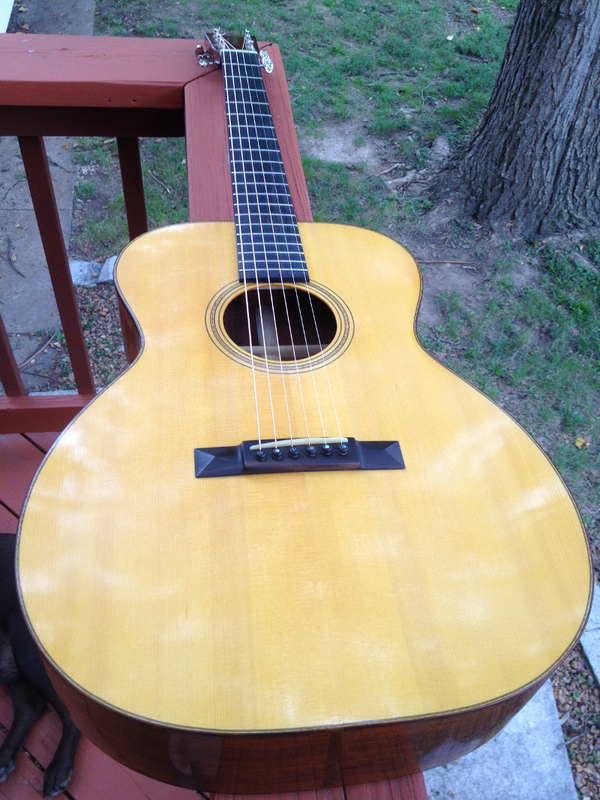 It is a fingerpicker's guitar, in my opinion (just as the Soloist model was intended). I play with nails, but it would be excellent for a bare-finger picker as well. 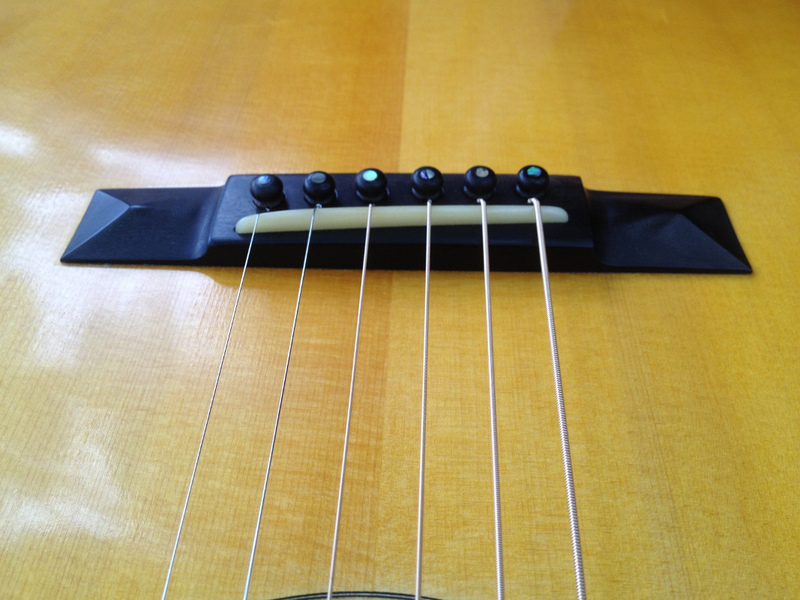 Fingerpicks are likely to sound harsh, unless you are truly a master with them. In many ways this guitar has challenged me to play better, and rewarded my efforts with outstanding tone. This guitar can fill a good-sized room with clear, ringing sound; next to it my Martin OMs (OM-28V, OM-28 Marquis), which I also love, sound muted and dull.